When it comes to social media and marketing automation, there are ways to win big. However, there have also been some runaway dumpster fires. Remember AT&T’s super-spammy debacle called the “Ticket Chasers” program? It was a chance for people to win free NCAA tickets. They outsourced the campaign to a contractor, who then outsourced the Tweets to a robot, who then spammed the crap out of thousands of Twitter users. 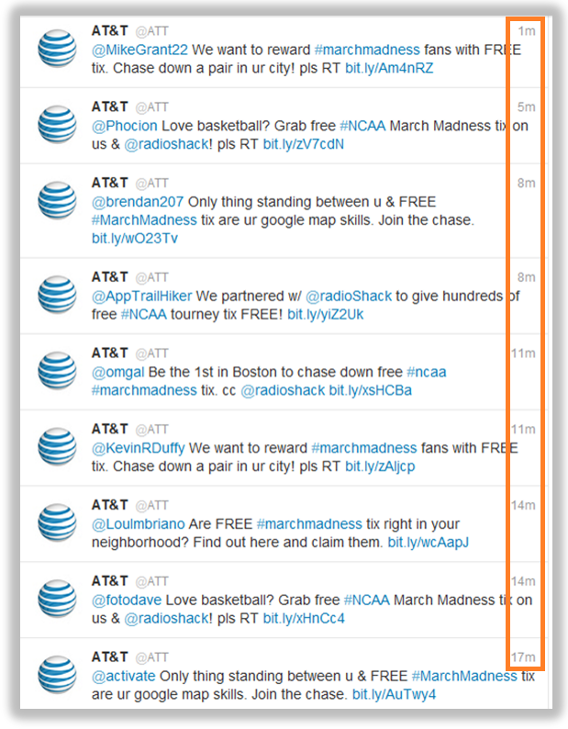 The problem was that many of the recipients didn’t even follow @ATT or have any interest in NCAA. Or, more recently, take @McDonaldsCorp’s unfortunate tweet. There’s not a lot of substance there, but @Wendys sure loved it. Even the best of us make mistakes, and public ones at that. 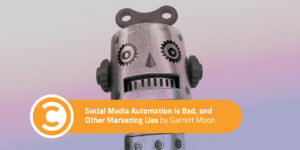 But some point to these instances as proof-positive that social media automation is bad marketing—that it undermines the purpose of social media altogether: community engagement and meaningful conversations. After all, you’d never automate messages to your friends and family, would you? Then how can you (gasp) automate messages to your beloved audience? I don’t like spam. Nobody likes spam. But social automation doesn’t have to be spam. Once upon a time, my company, CoSchedule, ran a test around the perfect recipe for social promotion. We wanted to know how many times we should promote a single piece of content. Which networks work best? We dug into our own data packed with millions of messages from tens of thousands of users. We also crunched the numbers from over twenty industry-recognized studies on the best times to schedule social media messages on every network. I’m talking time of day, day of the week, every detail down to the hour. Then, we published our findings. Recently, I met a marketer who was absolutely raving about this article. That was pretty fun to hear. In fact, he found so much value in it, he had it bookmarked and followed it religiously every time he scheduled a social media messages for his brand’s many accounts. “For every message?” I asked him. “Doesn’t that take you a ton of time?” I asked. He was an awesome guy, and we talked for a while longer. Eventually, though, I gave him some good news that I could get him the same results—perfectly scheduled messages—in one percent of the time with some of our automation features. Surprisingly, he pushed back. It took some time for me to convince him that he should give up the intensive manual labor of scheduling things by hand. He kept saying, “It’s only time—it doesn’t cost me anything!” However, that’s where he, and many other marketers I’ve met, are wrong. A few quick questions helped me calculate that his time was worth about $100 per hour. In his mind, he was saving money by not dropping $60 per month on an automation tool. By the end of our conversation, it was pretty apparent that while he was “saving” $60, he was actually spending $1,200 in time to accomplish the same function. He was stuck in the “it’s only time” trap. He was grossly undervaluing his time. And we constantly see this in marketing teams. Too many marketers think their time is free. But they don’t realize that it’s actually more valuable than their money. The purpose of promotion is to get the right people to the right place at the right time—all with the goal of driving profitable customer action. The mechanics of promotion are about ruthlessly outsourcing tasks that can be performed just as well, if not better, by automated processes. When you don’t, you’re stuck in an unscalable pattern. My marketing friend, like each of us, has 168 hours per week. Let’s generously say he only works 40 hours per week. (He probably works much more, like a lot of you reading this!) That means the three “free” hours he spends each week on perfectly timing his social messages equals 7.5 percent of his time. It’s possible because that same time previously sunk into menial tasks is now available for high-return pursuits—the stuff you absolutely cannot delegate to another person or tool. It’s time to embrace smart-o-mation to get bigger results in less time. Smart-o-mation is a way to 10x your social media results while saving time and money. In fact, I believe in its power so much, it’s actually a part of my content marketing formula. However, when people hear me talk about automation, some think I’m advocating for “Ticket Chasers”-style spamming, where you simply spew the same tweets, posts, and pics ad nauseam. This is spam-o-mation, a virtual recipe for alienating your audience in a public way. It’s also the form of automation people actually have a problem with. Harnessing the power of smart-o-mation is dead simple. It’s all about rethinking your publishing schedule. Spoiler alert: It’s time to get aggressive. In my experience, under-sharing on social media is a marketing epidemic. It looks like this: You publish a fresh blog post, then share a link on Facebook, Twitter, or maybe LinkedIn. Hopefully, it picks up some traction and nabs some likes, comments, and shares. But within a few hours, your post evaporates from people’s feeds. In fact, some studies indicate a tweet’s shelf life is five minutes or less before it evaporates for good. This is further compounded by the dismal reality of that post’s reach. According to a report by Social@Ogilvy, brands may experience as little as two percent organic reach. If you’ve got 10,000 followers, a cool 200 of them will see the post as they breeze through their feeds over the course of two hours. From our own data, we know that 77 percent of our users share their content on social media less than three times. 37 percent share content on social media just once after it’s published. Here’s the deal. If you’re sharing a piece of content just once, you’re absolutely wasting your content. You’re leaving tons of engagement and traffic on the table—and this means revenue! We know this for a fact because when we ramped up our posting schedule, our blog posts got 31.5 times more click-throughs—that’s a 3,150 percent increase in one week. And all because of our frequency. We more than quadrupled our traffic with essentially no more effort. Our first tweet attracted only two link clicks. A measly two people visited our content. If we’d stopped there, this channel would have been a nothing burger. Fortunately, we kept talking about it. We tweeted about this piece of content eight more times, attracting 63 additional click-throughs. 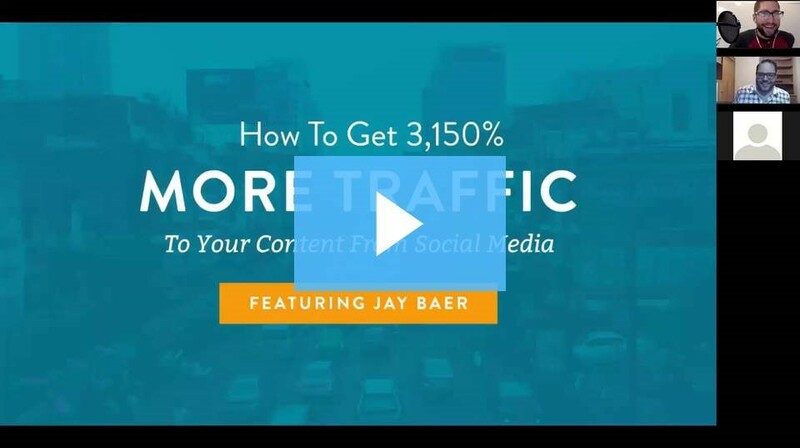 You can take a deeper dive into exactly how we did it with a webinar Jay Baer and Nathan Ellering tag teamed. That’s exactly what a more robust posting schedule helps you do. Over time and with constant testing, we settled on a social media promotion schedule that’s about 40 days long for blog posts alone. But, since we publish so much content, manually keeping up with so much social media posting legwork would cost an incredible amount in dollarized time. It would also be a huge opportunity cost. While our marketing team would be doing excellent social media work by posting at the best times on the optimal days, their time to actually create more content and engage with our followers on social media would be seriously undercut. That’s why we define our cross-platform promotion schedule and then automate every message with just a few clicks. We still custom design graphics. We still write valuable copy for every social message. We’re doing far more than shooting out a title and link for 40 days. But the point to embrace is that intelligent automation will save you time, and therefore increase your ability to drive business value with social media. 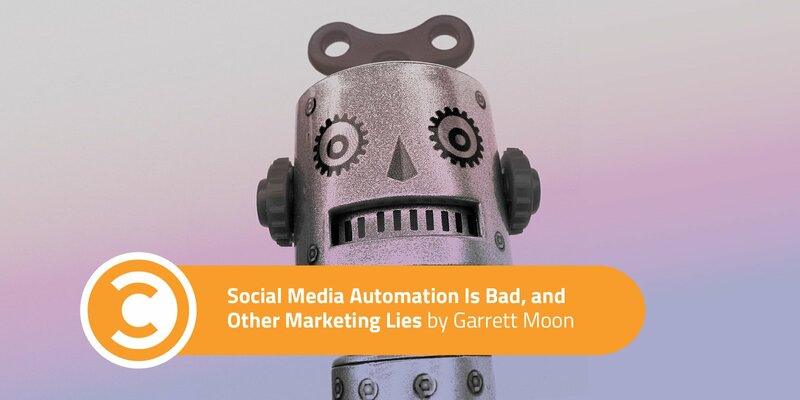 Get yourself unstuck from the “It’s only time” trap, get aggressive with your promotion schedule, and capitalize on social automation tools to do the time-consuming tasks for you. In fact, Convince & Convert saves north of 10 hours each month via the same process. But remember, be smart, not spammy. Add value to your audience at every turn. This will allow automation to supercharge your results rather than sour them.